This month's challenge was to temper chocolate and make bonbons. 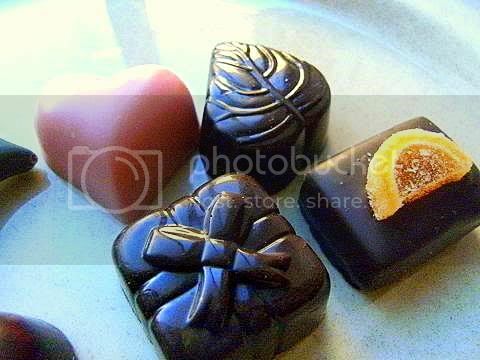 This was a a great challenge I have always wanted to temper chocolate and luckily I got into a great chocolate making class and I made these lovely bonbons. Also I was extra excited since the challenge was co-hosted by Lisa one of my favourite bloggers and we a special joint project coming soon. Since I made my chocolate at school they worked out very well I thought. The other forum members really went all out the creativity was amazing. I have to make this a short-and-sweet posting since I'm writing a "short novel" that needs my full attention at the moment. I was in Balmain and I saw that a shop was having "chocolate" classes and I was lucky enough to get the last place for the very expensive course. These are the results of the classes (over two days), I made six kinds of bon bons. I have to admit that I got better and better at tempering chocolate some of the bon bons came out very shiny, since the moulds where brand new. The class was very informative and entertaining well worth it I thought! I'm not sure if these count for the challenge since I made these in class using their fancy moulds and top quality equipment but I loved learning so many new processes and techniques. (Sorry I wasn't allow to take photos in the class). I did learn that you can only get very shiny chocolate coatings by using a mould and the better the quality of the surface of the mould the better the final shine of the coating. Truly stunning! You rocked this challenge!!! Simply stunning with beautiful shine absolutely love it. WOW! Audax your chocolates are fabulous! I love it so much!! Your chocolates are breathtaking, Aud. Like I told you via email..my nephew wants those dolphins! He even cried for them (awww). 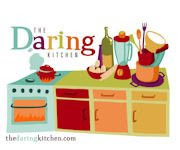 You're one of my fav bloggers too, and SO glad you took part in the challenge! I had no idea you went to chocolate school for these. The temper is stunning on all of them, so you learned well!! Looking forward to our project! These look great, so professional! Beautiful Audax! 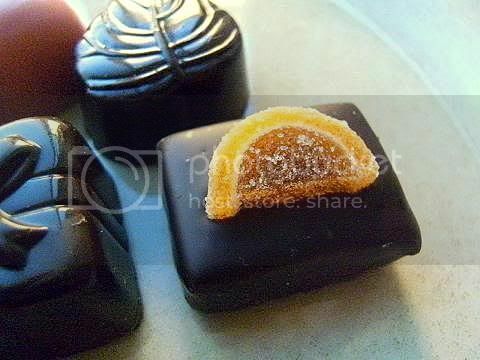 I love all the chocolates you made in your class and even though I love how shiny the bow is that little candied orange peel is calling my name :) Now you've got me thinking maybe I should take a class or two! So great that you had the opportunity to attend chocolate school during the challenge month. Your bonbons are so beautiful, shiny, and the colors are amazing! Can't wait to hear about your project with Lisa... I'm very curious! What a perfect coincidence that you found chocolate school during this challenge month! I would imagine it was super fun, and the results look fantastic! They look great. 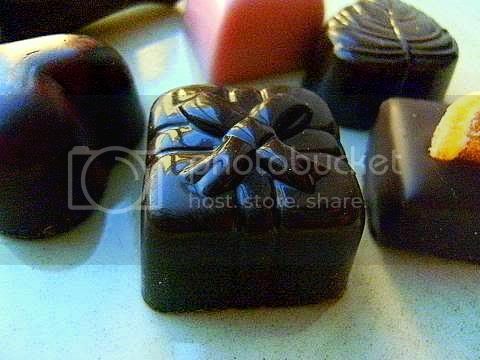 I had taken a fabulous chocolate making class in Orlando last year with Pierre Wybauw. It is amazing how much they know about chocolate. Good luck with the book. I love your dolphin mold! Great job on the challenge! Pity you couldn't have taken a sneaky photo on your mobile during the course (that's what I did, couldn't help myself). Cute shapes and lovely shine. Good luck with writing your novel! Wow - they are so impressive. 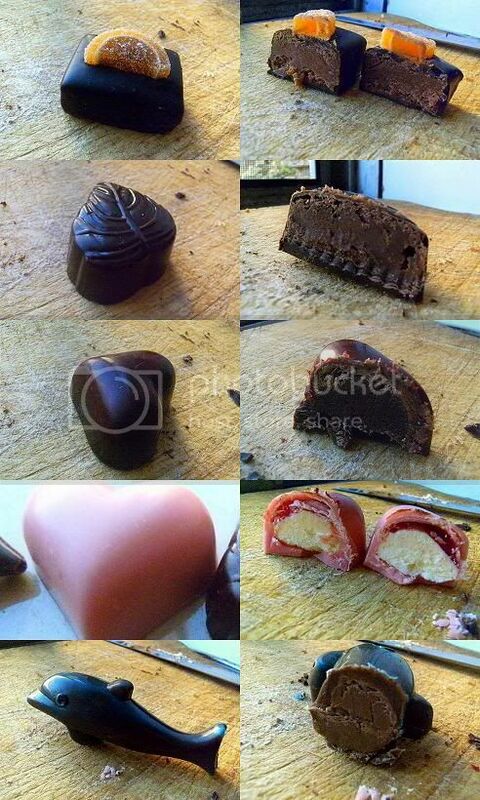 What a brilliant idea to go to chocolate school to do them! Wish I had thought of that. Audax, I have neglected the DB for months, but I love to look at the results of others. Your candy looks beautiful and delicious! So professional! Bravo to you! Good luck with your novel:) I also look forward to seeing what you and Lisa are up to! How excellent that you got to take part in a chocolate class...what perfect timing. All your candies look wonderful! Now these are wonderful! Thank you so much for explaining that I can't get the shiny surface on coated pralines as this was really troubling my mind. And yes, you really rock! Great job Audax! It was a great challenge this month! Great chocolates Audax! 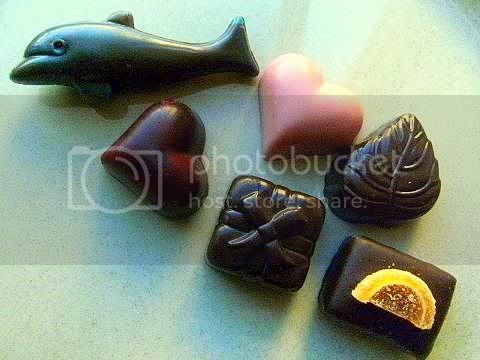 I think my favourite (in terms of taste) would be the orange chocolate one, but I wouldn't pass on the others either! 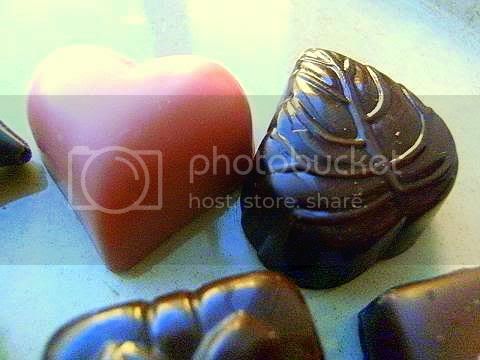 Those chocolates look absolutely perfect - so shiny! Would love to have mine look like that.